Microsoft's operating system now gets a smarter Cortana and Xbox One dashboard improvements, as well as various fixes and tweaks. Microsoft unleashed yesterday a new update to its notorious operating system. While it was still in testing, this first major update for Windows 10 was known as Threshold 2. The update is available for both PCs and tablets, but Xbox One also got Windows 10 yesterday. Unfortunately, Windows Phone users still have to wait to get their update. Terry Myerson also revealed that Windows 10 is currently running on over 110 million devices, of which 12 million are business PCs. 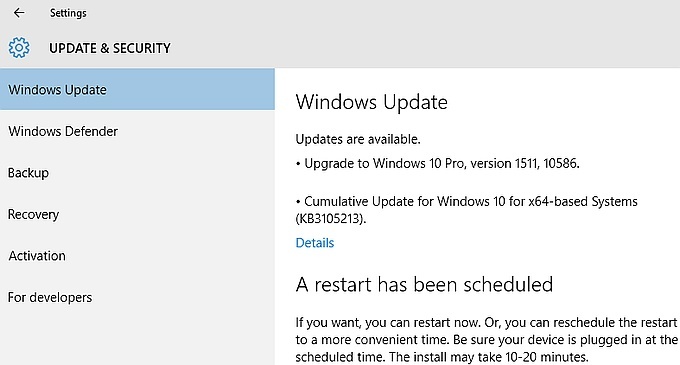 Those still running Windows 7 or Windows 8.1 can get this update as part of the Windows 10 upgrade process while users already running Windows 10 will get it according to their Windows Update settings.